This list has been slightly altered to include additional questions relating to how GeoShepard™ can address some of your concerns. The original list of California Cannabis Track and Trace FAQs was created by the CDFA and can be downloaded here. 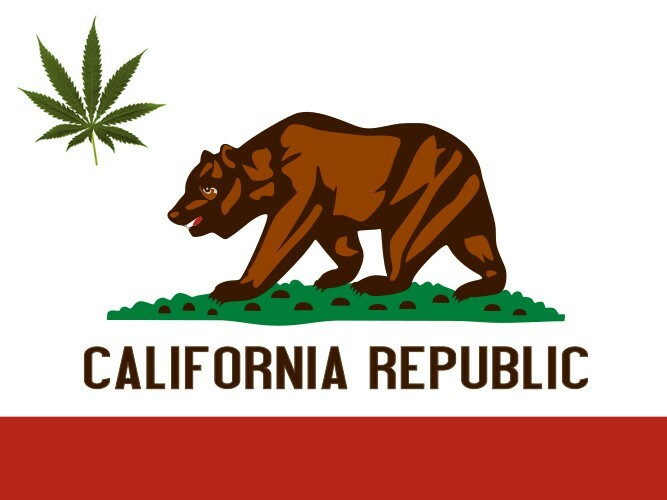 The California Cannabis Track and Trace system (CCTT), using Franwell, Inc. Metrc software, is a ‘seed -to-sale’ supply chain system for tracking and monitoring commercial cannabis inventory and activity across the distribution chain that will allow California to fulfill its statutory mandate. Primary system objectives are to protect public health and to limit potential federal interference in lawful cannabis businesses as the State moves toward implementation of the Medicinal and Adult-Use Cannabis Regulation and Safety Act (MAUCRSA). What software is being used and who is the state-contracted vendor? Franwell, Inc. is the contract service provider for the CCTT-Metrc system. Franwell’s Metrc software is currently being used in Colorado, Oregon, Alaska, Maryland, and Nevada for their respective medicinal and adult-use cannabis programs. All state-issued annual licensees are required to use the CCTT-Metrc system to record, track and maintain information about their cannabis and cannabis product inventories and activities. Temporary licensees are not required to use and will not be provided access to the system. Although temporary licensees will not be required to use the CCTT-Metrc system, state licensing authority emergency regulations require all sales and transfers of cannabis and cannabis products between temporary licensees, or between temporary licensees and annual licensees, to be documented manually using paper sales invoices or shipping manifests. Licensees are able to maintain records in any way that they choose, including manually tracking information via excel spreadsheet, for example. However, temporary licensees may still face random inspections where they’ll be expected to present detailed, accurate records of your current and past inventory, as well as inbound and outbound transfers with detailed records. Inability to present this information promptly can result in significant fines to your business. We highly recommend utilizing a cannabis software or cannabis POS for your record keeping and inventory control needs. The annual licensee will be responsible for assigning a CCTT-Metrc non -repeating, globally unique identifier (UID) to each immature lot, flowering plant and each distinct cannabis product. This assignment is accomplished via the issuance of encrypted radio frequency identification tags to annual licensees. A UID is an alphanumeric code or designation used to uniquely identify a specific plant, cannabis, and/or cannabis product on a licensed premises. UIDs are specifically provisioned as plant tags or package labels and are ordered by and assigned to the annual licensee within the CCTT-Metrc system. Assigned UIDs track the with cannabis and cannabis products when they are transferred from one licensee to another licensee. How will I get my UIDs and will I have to pay for them? Once an annual license holder and/or their designated Account Manager has been trained and provided access the CCTT-Metrc system, an order for UIDs may be placed using the system. The cost of UIDs, along with all other costs needed to administer California’s cannabis programs (CalCannabis Cultivation Licensing, Bureau of Cannabis Control, and the California Department of Public Health), their respective licensing systems, and the CCTT-Metrc system, are built into the designated licensing fees for each type of state commercial cannabis license. Will I be required to complete training before I can use the CCTT-Metrc system? Yes. Upon submission of an application for an annual license, the applicable licensing authority will send system training registration information to the applicant. Applicants are strongly encouraged to complete the required user training while their annual license application is being reviewed/processed. Once an annual license is approved and the license holder and/or their designated ‘Account Manager’ has completed the required CCTT-Metrc Account Manager New Business System Training, the licensee will be able to access the CCTT -Metrc system. Annual licensees will not be allowed to access the CCTT-Metrc system until the required CCTT-Metrc Account Manager New Business System Training is completed by the licensee holder and/or their designated Account Manager(s). In addition to the Introduction to California’s Track-and-Trace Workshops, Franwell will conduct CCTT-Metrc Account Manager New Business Training for licensees that have submitted an annual license application to one, or more, of the licensing authorities. The CCTT-Metrc Account Manager New Business System Training will be provided via live, interactive facilitated webinars as well as via pre-recorded webinars. Information regarding the registration process for this training will be provided by the applicable licensing authority upon receipt of a complete annual license application. Will there be any restrictions on the number of designated CCTT-Metrc system users for each licensed individual or entity? There are no restrictions on the total number of CCTT-Metrc system users a licensee may have. However, each licensee is required to designate an owner or other party(ies) in the licensed organization who can legally represent the licensed entity, and act as the licensee’s CCTT-Metrc ‘Account Manager(s)’. The licensee’s designated Account Manager(s) will be required to complete CCTT -Metrc Account Manager New Business System Training and, subsequently train each licensee-designated system user in the proper and lawful use of the CCTT-Metrc system. Pursuant to Section 26067(b) of MAUCRSA, information received and contained in the CCTT-Metrc system is confidential, only viewable by the licensee and authorized employees of the State of California, or any city, county or city and county to perform official duties pursuant to MAUCRSA or a local ordinance. Also, upon the request of a state or local law enforcement agency, licensing authorities will provide access to or provide information contained in the CCTT-Metrc system to assist law enforcement in their duties and responsibilities pursuant to MAUCRSA. Does the CCTT-Metrc system have an interface, or file upload process, to allow connection of 3rd party systems? The CCTT-Metrc system offers access to third-party business applications via a standard Application Programming Interface (API) or file upload. For more information regarding the API, please visit: https://www.metrc.com/california. No, you don’t need a 3rd party system. You’re able to enter all of your compliance data directly into the web-interface mentioned in the previous question. However, Metrc is simply a reporting tool; if you want to harness your data and be able to take your business to the next level, you need a cannabis software system that allows you to do it. GeoShepard™ automates your cannabis cultivation. We’ll automatically submit all of your required compliance data to Metrc as it’s entered into your GeoShepard™ cannabis software. Click here to contact us for a Demo. Do I need to purchase any additional hardware in order to use the CCTT system? CCTT -Metrc is a completely web-hosted system. That means all access to the CCTT-Metrc system is done via the internet which only requires an internet connection (via an internet service provider) and a web browser. No additional hardware is required. Access to the internet and a web browser is easily achieved using a computer, tablet, or smartphone. In addition, there is no software to download, install, or maintain. Yes. GeoShepard™ automates the weighing of plants, harvests, and packages. Our GeoScale™ is needed to increase efficiencies in your operations. You can purchase our solution from our online store. How will the State prevent inversion and diversion of cannabis or cannabis products using the CCTT-Metrc system? The CCTT-Metrc system and UID tagging requirements alone are not expected to eliminate illegal inversion or diversion of cannabis along the commercial cannabis supply chain, rather it will be an invaluable auditing tool to assist the State’s compliance and enforcement staff. A multifaceted approach of regular monitoring, diligent review of licensee-reported data, augmented by onsite inspections, and referrals to law enforcement, are expected to significantly limit illegal product movement. The CCTT-Metrc system will also be used to identify anomalies indicative of potentially fraudulent activity. The licensing authorities, sister state agencies, and local agencies will work collaboratively to develop analytical tools and inspection protocols to identify and investigate potential fraudulent activity during all phases of the commercial distribution chain activities, and take appropriate action as needed/warranted. How can I find out more about the CCTT system?